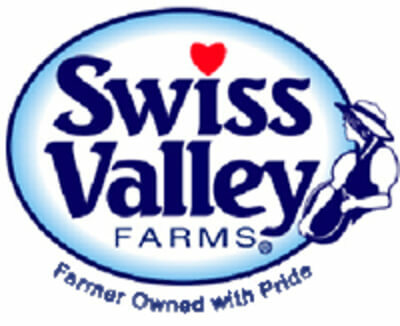 Founded in 1958, Swiss Valley Farms is the 23rd-largest dairy cooperative in the US. Based in the Midwest, Swiss Valley Farms is responsible for sourcing milk from more than 620 dairy producers and distributing that milk to their cheese manufacturing facilities as well as other dairy companies across the country. With over $400 million in annual sales, and customers including grocery store chains, independent grocers, warehouse clubs, convenience stores, schools, food service companies, and food manufacturers, Swiss Valley Farms, deals with a lot of invoices. Swiss Valley Farms was using a manual process for approving accounts payable invoices. All of the paperwork came through the company’s corporate office, with various approvals required. Swiss Valley Farms is headquartered in Davenport, IA and has six plants located in Iowa, Minnesota and Wisconsin. Each invoice had to be physically sent to the proper individuals in the approval process, with a spreadsheet-based tracking system. In some cases, the invoice would get lost somewhere in the approval process, requiring employees to track it down. While Swiss Valley Farms knew an automated accounts payables system was the solution, its finance team was uncertain about the implementation process. The company needed a process that would create minimal disruption to operations and without taking too much of its IT staff’s time away from their daily duties. The company also needed a system that met its current operating budget and would be put in place relatively quickly. Swiss Valley Farms was pleasantly surprised at the personalized attention they received during the implementation of the Centreviews Payables Solution. Initially, some employees were fearful about giving up control but once they realized they no longer had to handle all that paper, they were happy. With Centreviews Payables Solution in place, Swiss Valley Farms’ accounting staff saw that they had more controls in place, allowing them to easily track where each item was at all times. While the new system added a couple of extra steps for a few staff who weren’t previously required to log in to a system, after a few months they realized how much easier it had made their jobs since they no longer had to touch the paper and they could process and approve the invoices from wherever they were with a laptop, tablet or smart phone. Employees were no longer required to waste valuable time tracking down paper-based invoices. The entire process was streamlined, reducing errors and saving money.